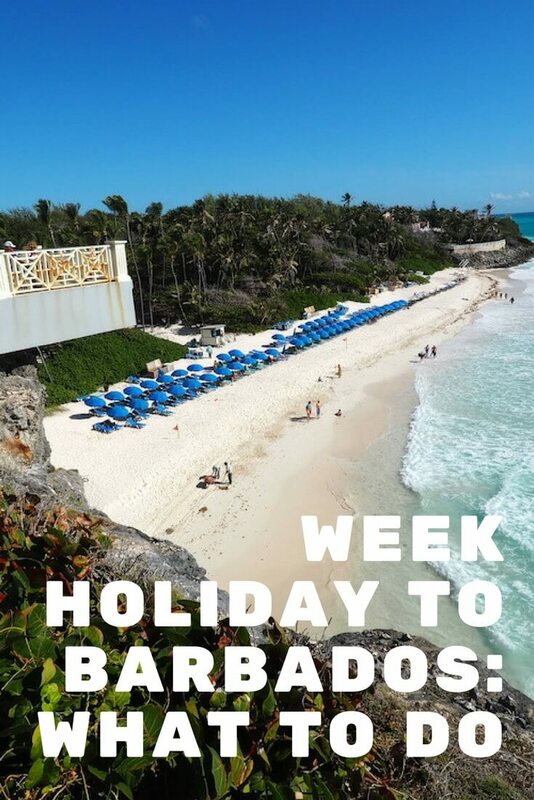 VickyFlipFlopTravels » UK Travel & Festival BloggerWeek Holiday to Barbados: THINGS TO DO! I’m back from an awesome week holiday to Barbados. 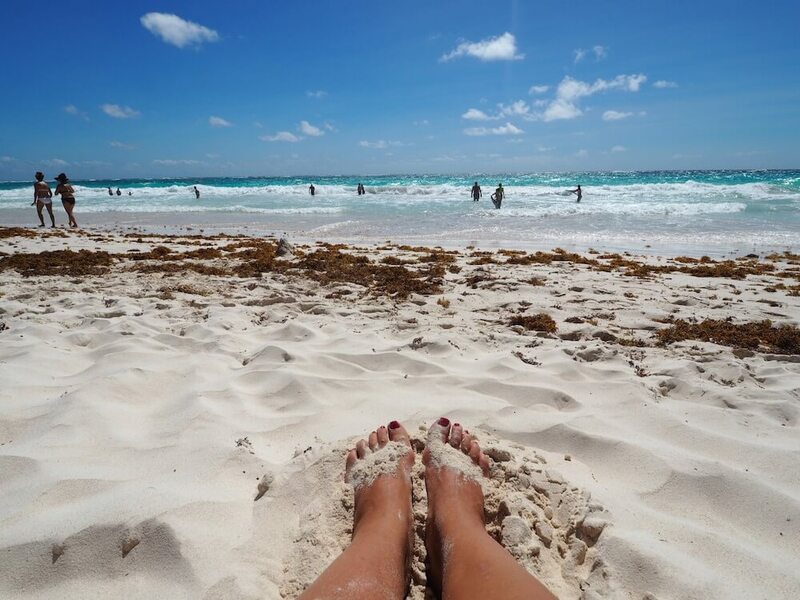 Guys – the sun, the sand, the beaches and the rum punch – it’s all as good as they say it is. I loved passing the colourful houses every day, driving round the island and taking two boat trips to admire Barbados from afar. 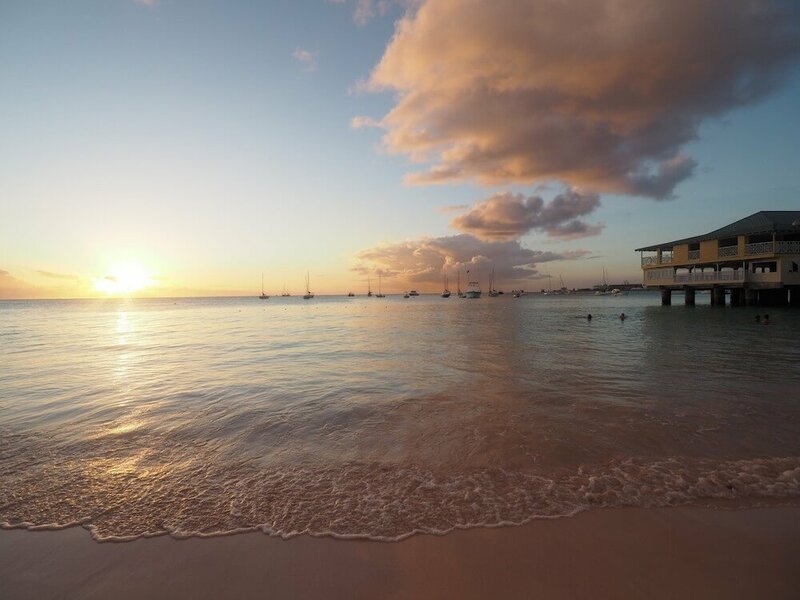 The best thing I did on my Barbados holiday would be a tough toss up between the shipwreck scuba dive… and the catamaran tour. I just loved being out on the azure water in the sun, and in the case of the scuba dive, swimming up the spiral staircase a la The Little Mermaid. You can do a lot in a week holiday to Barbados, or, you could just lie on the beach all day soaking up the sun, and the punch. 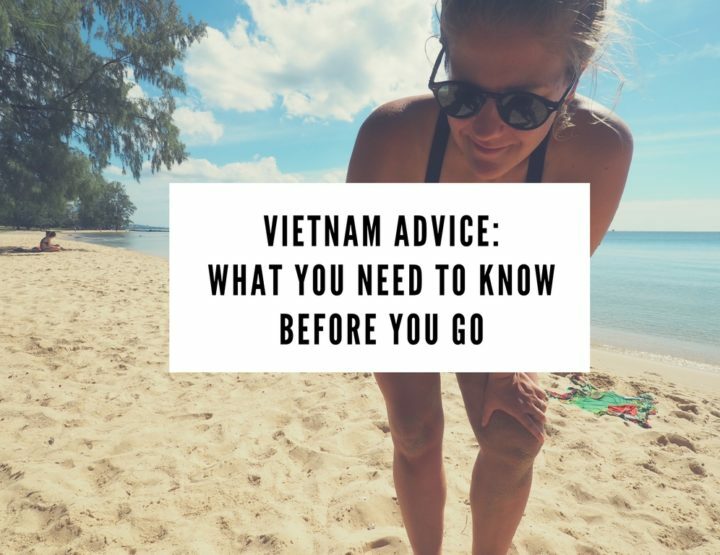 I’d recommend a mixture of the two because there’s so much to do on the island you’d be missing out if you didn’t at least try to get of your sun lounger and explore. My week’s holiday to Barbados was courtesy of Skyscanner, who’ve revealed Barbados as one of their 7 top destinations for 2017. So I went along to check. 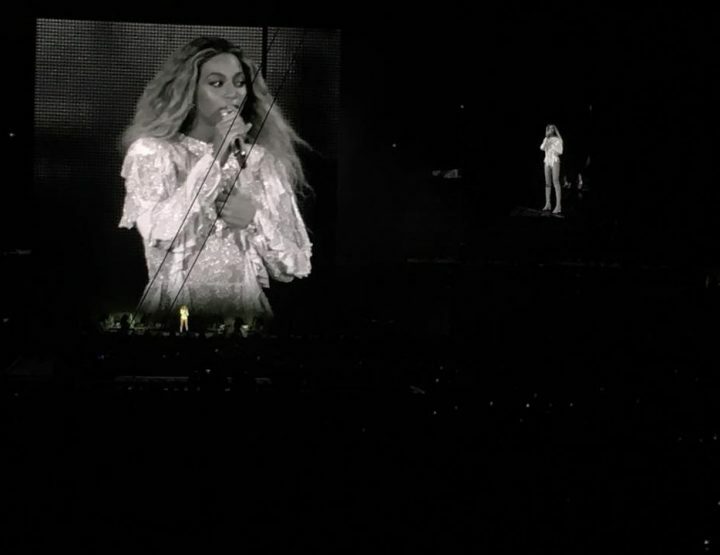 And yes, loved it. Take me back. 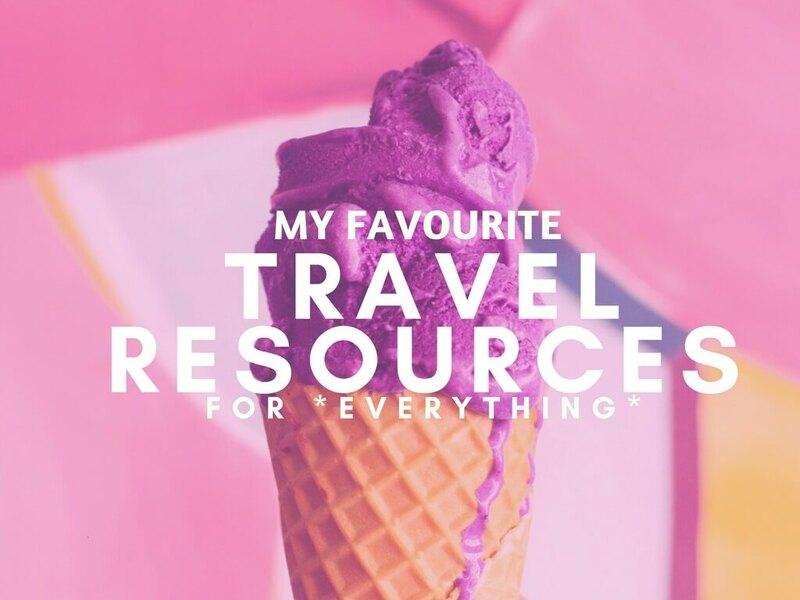 I looked on Skyscanner at flights about a month before and flights were coming up at around £550. I was actually surprised at how low this was as I presumed it’d be in the thousands. We didn’t book then though and so about a week before the date, it was £750ish. Ok, right, let’s get down to it. I’m going to describe my week holiday in Barbados it as I did it, seeing a I had such a good time. I hope it gives you some idea of just how much there is to do on the island, and why it’s a great place for a week’s holiday. I arrived on the Friday, so that’s where we’ll start. You can jump in whenever you like. I boarded the 10:05am flight from London Gatwick to Bridgetown in Barbados. The flight was fine. In between the complimentary gin and tonics and great film selection I even managed to get some writing done. Silly me didn’t check in in enough time to secure a window seat – make sure you do for those epic Caribbean views as you fly in. Customs was pretty straight forward, if a little slow. I made it through, collected my suitcase which was there waiting and went outside to grab a taxi. They take BBD or US Dollars, neither of which I had. Luckily there was a cash point just round the corner. It was about 15 minutes to Christ Church near Oistins, where I was staying. I checked in, unpacked, went to look at the beach about a minute’s walk from my hotel, took a few photos and then went to get ready to walk to Oistins. 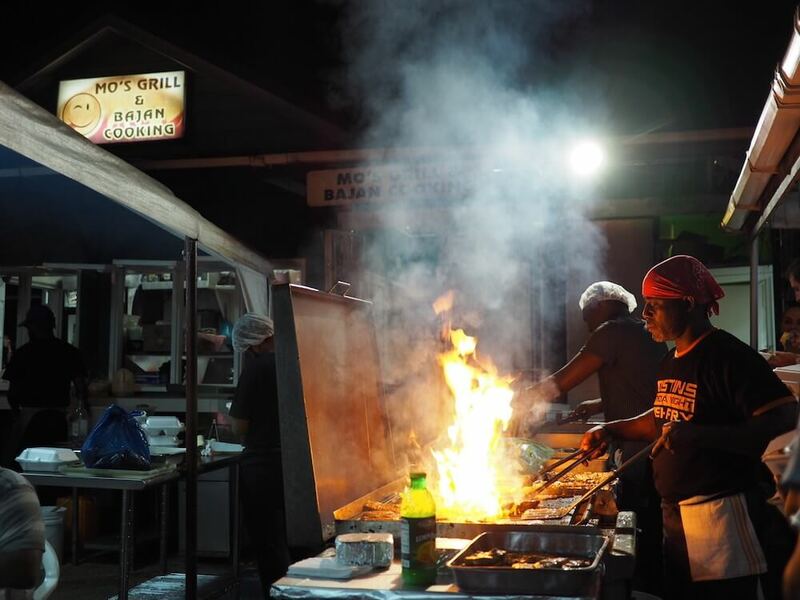 Every Friday in Barbados the Oistins Fish Fry is the place to be. It’s basically a big fish BBQ with music, dancing and a chilled festival atmosphere. Apparently it’s just getting bigger and bigger, for locals and tourists. I stayed as long as my jet lag would allow, about 8pm, but I’m sure with a few rum punches you could last longer. What kind of person are you? 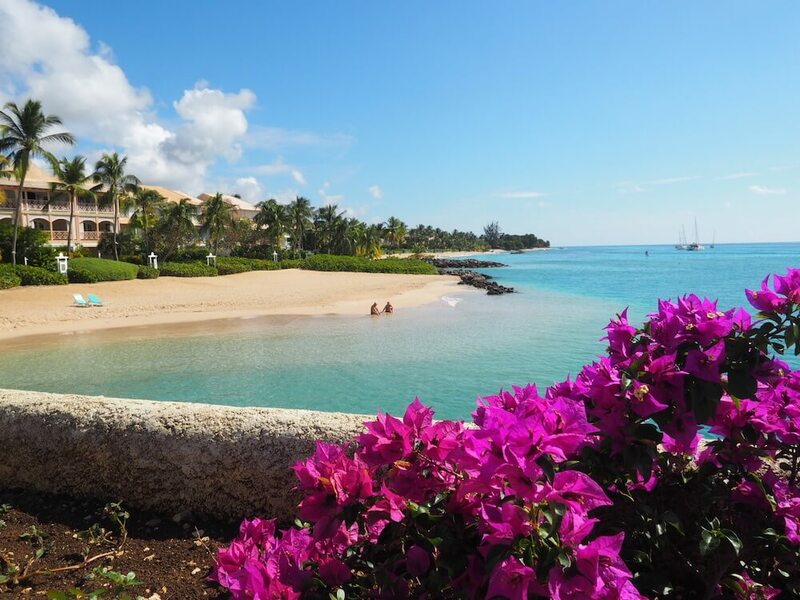 Are you raring to go and explore the island, or would you rather spend your first morning sampling that beach? After waking up at about 4am I was eager to get out come sunrise so walked back to Oistins where I’d spotted The Surfer’s Cafe. 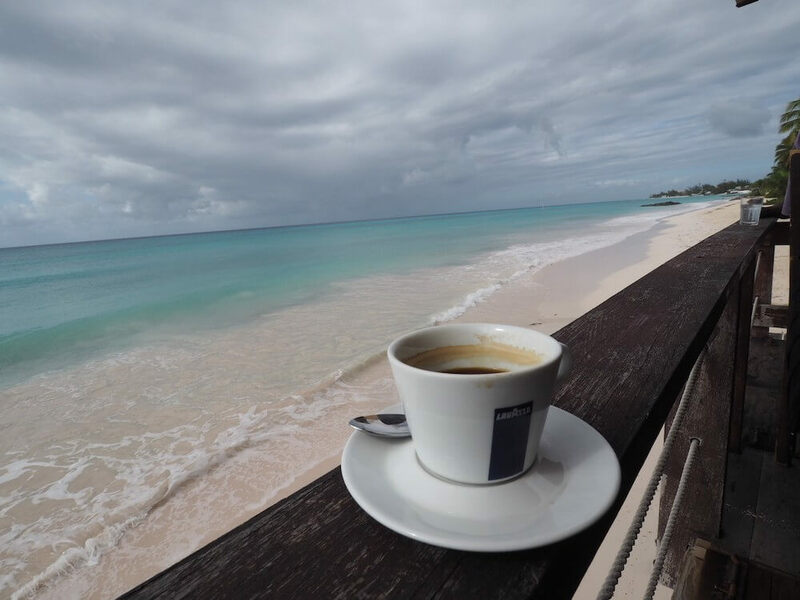 I sat on the balcony over the beach, drinking my coffee and enjoying my sausage and egg bap. Heaven. 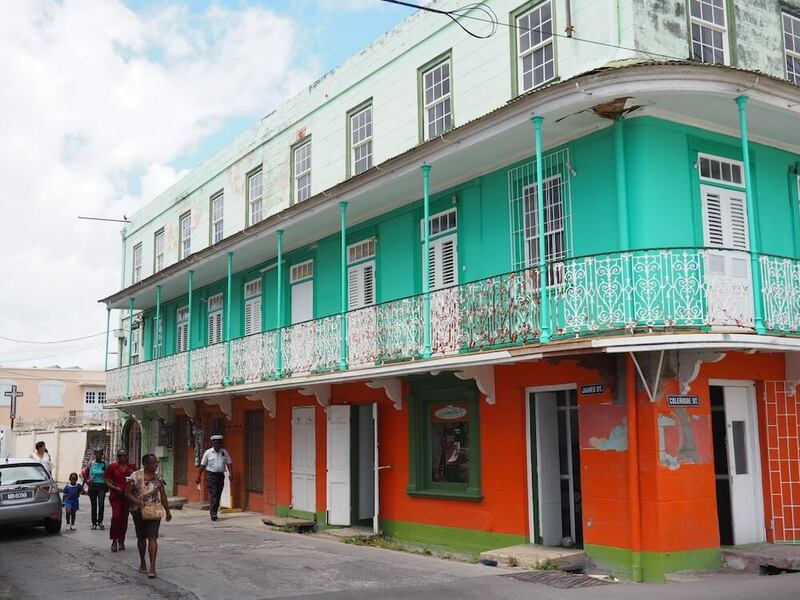 From there I headed in the direction of Bridgetown to look round, eager to see what Barbados’ capital was like. I made the journey part of the adventure though, walking from Oistins to Hastings to check out the Hastings Farmers Market. 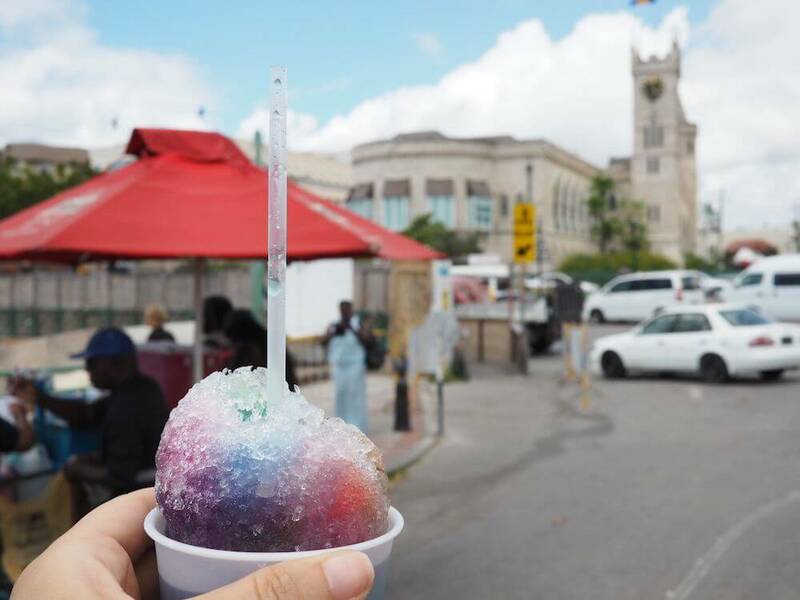 Farmers Markets are a big thing in Barbados, some are bigger than others. This one was cute. I didn’t buy anything but I did enjoy looking round and I went in to the ArtSplash Centre for a coffee. What I didn’t bargain for was honestly, one of the best cakes I’ve ever had. It was sat there all alone on the counter, a Red Velvet Cake, and the lady told me they’d used beetroot to get it that colour. ‘Healthy’, I thought, ‘I’ll take it’. The coffee was great too. I sat out the front looking at the beach and enjoying the people watching at the market. My feet were burning in my flip flops from the 5-mile walk so I hailed a bus to get into Bridgetown. The buses in Barbados are so easy to use. Apart from the airport transfers I didn’t use a taxi once during my week holiday to Barbados. Just keep an eye out for a bus saying ‘Bridgetown’ which most of the ones going north will if you’re in Hastings, and jump on. Have your $2 BBD ready and sit back and enjoy the reggae music blasting your ears. I spent the afternoon wandering round Bridgetown. 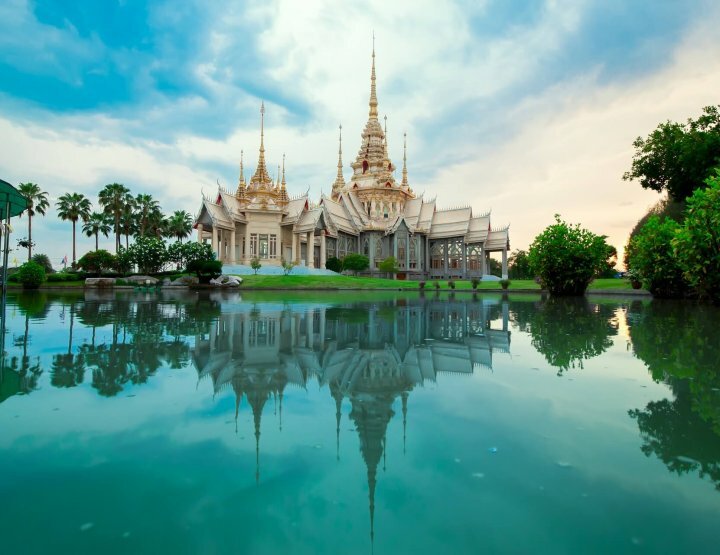 The whole city is a UNESCO World Heritage Site – quaint, colourful and full of history. It’s a small city so I felt like I’d seen what I wanted to see fairly quickly. I checked out the main street market and decided to lunch like a proper Bajan – eating at Chefette. Chefette is the Bajan fast food restaurant that shut down McDonalds on the island as no one was interested. Chefette is an institution in Barbados and if ever you mention it to a Barbadian you’re sure to get a good response. I went for the roti, which one guy told me was scientifically proven to be the best roti in the world – not sure what India would say about that, but yes, it was tasty. I walked back to the Marina Bar and Restaurant and had a Banks beer on the balcony to watch over the boats and Independence Square. I’d planned to start walking home after but about two minutes later noticed The Boatyard – another recommendation I’d had. So, popped in. The Boatyard is a really cool place to hang out. Probably the coolest I found in the whole week in Barbados actually. You have to go. There are beds, hammocks and loungers on the beach, and an iceberg and trampoline to play on out at sea. 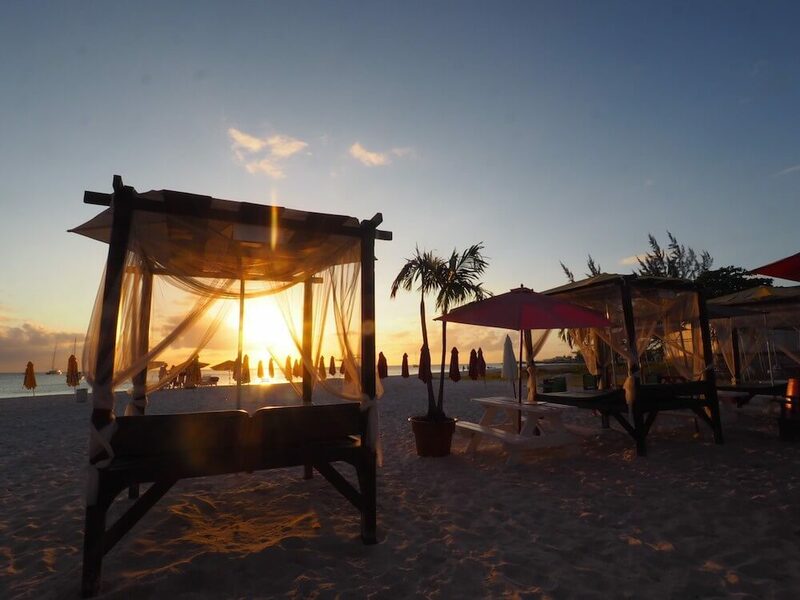 I watched a beautiful sunset from there and then went in for Mount Gay rum (241 on Happy Hour) and Barbados’ national dish, Flying Fish, along with some fries. Yum. It was around 9pm, on a Saturday, yet they were shutting up. So I left. I stepped out and handily a bus went by that was going right by my hotel. Back home in Christ Church within 10 minutes. Woo. I’d booked the Gospel Brunch at The Crane Hotel for 9am, so off I went in my finest dress and shoes (dress code) and got there for dead on. What I didn’t know was that they’d emailed me at 8:45am to say they were full. 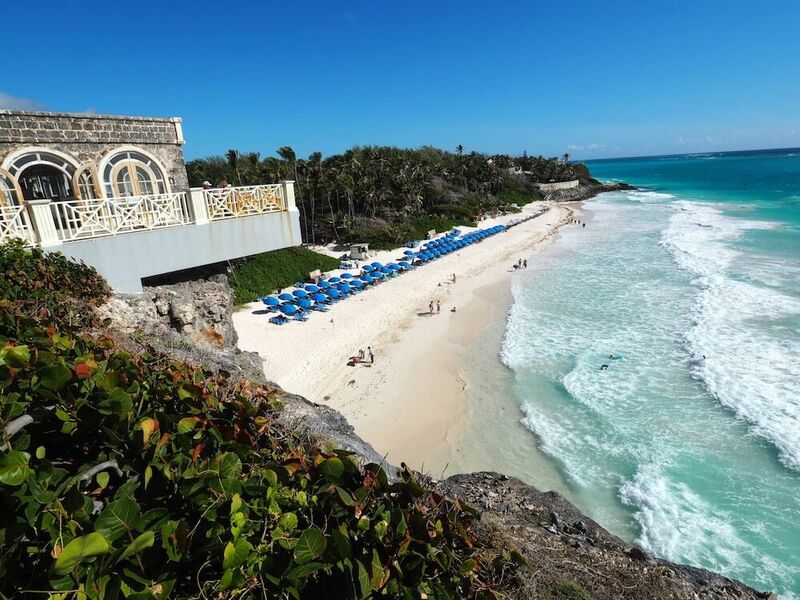 The Crane Hotel is one of the fanciest hotels on the island perched on the cliffs overlooking Crane Beach, often cited as one of the best beaches in the world. It’s in demand, obviously. So, instead, I grabbed some banana bread and a coffee from the little ice cream shop there and went down in the elevator to the beach. 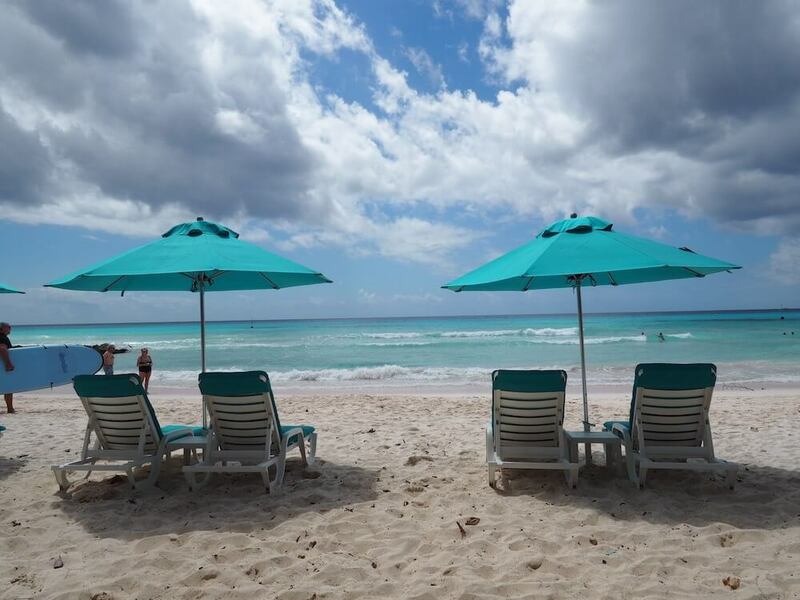 Aaaand, then I got booted off my sun lounger as I wasn’t staying there – ‘this is Barbados honey’ so said the lady – and lay on my sarong on the beach to get started on my breakfast. Could be worse. And that was me for the next 30 minutes. I followed the little path they’d made going up the rocks and saw a sign to Cutters, one of the places I’d been recommended to eat. So off I went. The cutter (Bajan sandwich) I had here was one of my favourite meals in Barbados. 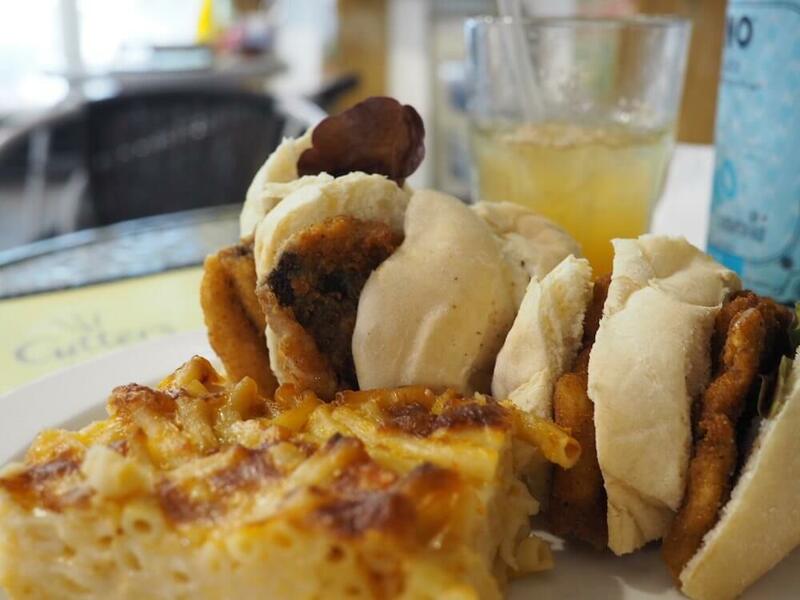 Succulent fish, fried and put between a cornmeal bap and served up with another Barbados favourite, Macaroni Pie. Cutters even delivers down to Crane Beach between 12 and 1 – I’d take them up on that! The Very Special Rum Punch here is famous so I had to try that, and a litre of water too. Got to be careful in the heat. Safety first. I was more than happy to eat all that to fuel up for my windsurfing lesson. I went with Endless Kitesurfing, mainly because it was one of the only places offering windsurfing over the trendier kitesurfing. It was a bit of a mission to get to, on foot, and a lady ended up picking me up for a lift down the road as it was so hot out. I got there and he announced we were going to Oistins, where I’d come from. In short, I wasn’t the best at windsurfing. Apparently I was working too hard and needed to relax. Think I was too keen and sometimes it takes a while for instructions to stick for me. It was a good lesson, although he did keep taking the windsurf off and I had to swim after him to catch up. He also decided to add an extra $40 BBD (£15) for no apparent reason, and when I asked him he said the website was wrong. This ended up being quite an expensive activity at $240 BBD (£95) for a two-hour private lesson. served with a tamarind and coconut sauce. After a small breakfast at Lanterns by the Sea, a cute little cafe spot near my hotel, I was picked up for my Lickrish Food Tour. Initially I felt guilty about having breakfast before I went on a food tour, but after not being fed until an hour in I realised that it was one of my few good decisions in life. The tour was fun, and definitely opened my eyes to some of the cuisine of the Barbados people, including PIGS TAILS. I thought the lady was joking at first when she bought the tray out telling us what it was. No. She served up a fresh piggy tail just for me. I poked it round the plate a bit before having a word with my stomach that we’d get through this together, as a team. Once I forked the fat out the way, and got to the slither of pinky meat in the middle, I managed to eat a little bit. The meat was actually delicious, it was the fact that it was covered in greasy fat, and that it was a PIGS TAIL, that was the most disturbing. It was a good tour, but not enough food compared to other tours I’ve been on. Don’t worry, I’ve emailed the owner to tell him, so if you decided to do it fingers crossed there’ll be some more in there. After that I went scuba diving with G Fish Watersports. Loved it. They were really nice people and after feeling a bit nervous about scuba diving, thanks to my last two dives being traumatic (another story), I can honestly say that my love for scuba diving is back. We went in two shipwrecks and the highlight was definitely twirling up the spiral staircase a la Ariel Little Mermaid. – Ok, this was the clip I was thinking of when I was underwater, wasn’t a staircase after all. 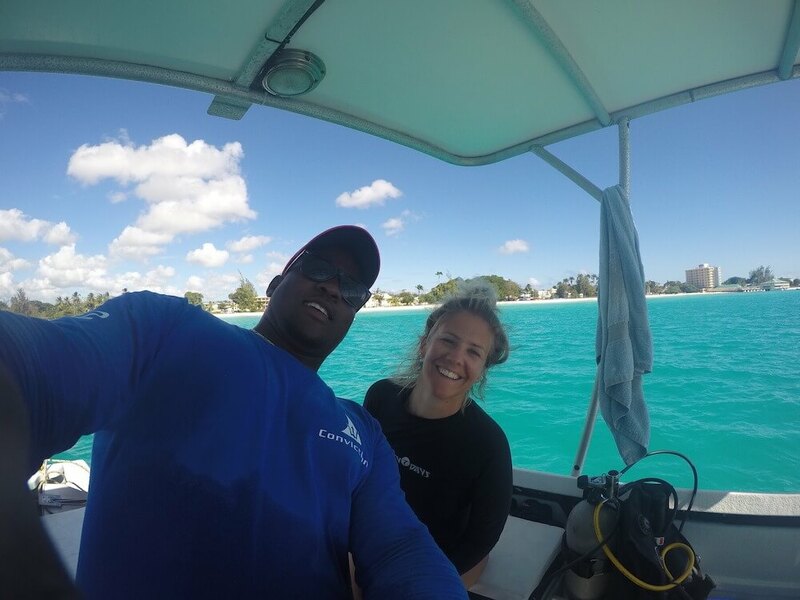 If you’ve got a whole week holiday to Barbados, or even more, please, go scuba diving – it’s awesome. After seeing all those fishies I was totally inspired to get some sushi for dinner. I walked to Naru in Christ Church and had a feast. Naru is a beautiful sushi restaurant right on the beach. Very romantic. I had a sampler of Yellow Tail Nigiri, a side of Tuna Nigiri and then a full Wizard of Oz Maki Roll. Oh, and the sake Margarita was special too. Really liked it here – lovely location, really good staff and delicious food. I wanted another round of sushi, but decided I should probably quit while I could still move. And then I got the bus home from just outside. So easy. 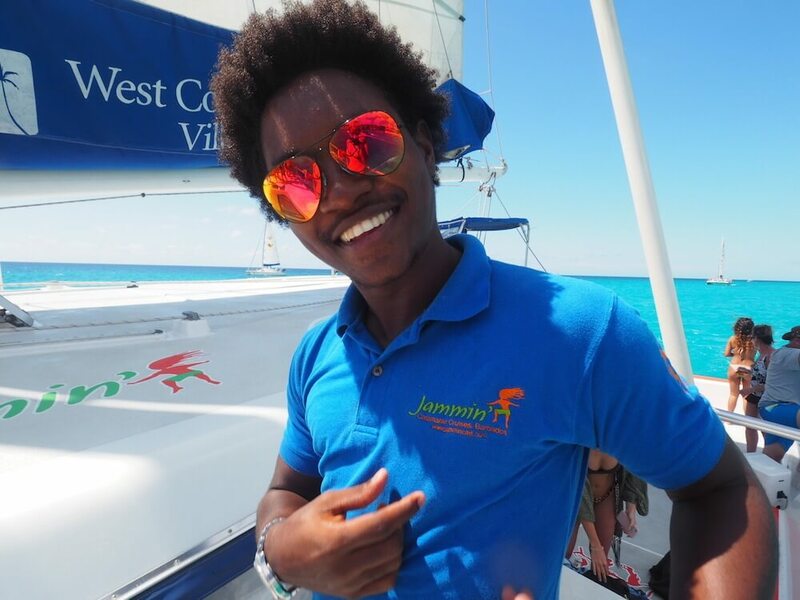 Today I changed hotels, upgrading to a fancier one, and then went on the Jammin Catamaran Tour. Oh my gosh it was so much fun. As soon as we got on board they served a fishcake in a bun breakfast with coffee and then we sailed out for a bit to anchor up and snorkel with the turtles. I went but only saw stones on the seabed, some people claimed they had a sighting or two but I’m not sure I believe them. Maybe I was unlucky. One of my school friends says that swimming with turtles in Barbados is the best thing she’s ever done. Anyway, back on board and we sailed off for an hour to go to our lunch spot. The complimentary rum punch was flowing. 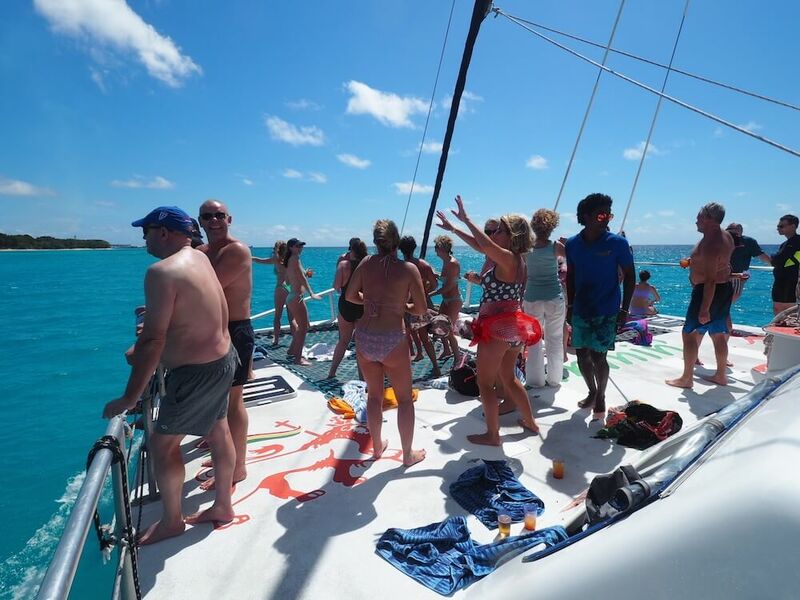 People were dancing on the front of the boat, drinking shots, music was blasting – it was all just great fun for every age. I met a couple who had got engaged the day before and were celebrating. So once the boat docked we went to the nearby Black Pearl for dinner and had a glass of Prosecco or two to celebrate. After watching a stunning sunset from the beach it was time for bed. I was definitely a little redder than when I woke up that morning. The sun was fierce. Big day today. I hired a Moke. 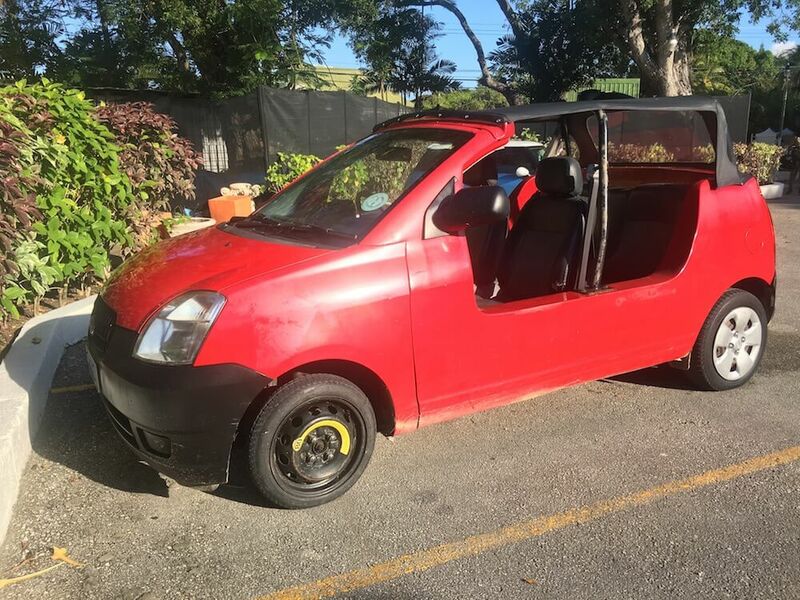 A Moke is a little car with no roof or sides, so some would say has questionable safety. I really enjoyed driving around in mine all day, but, disclaimer, there are a lot of stories about how really you should probably just get a proper car. Enforced by the fact that as I was about a five-minute drive away from the rental place, my tyre blew out and I was stranded. The company I was with, Fat Jacks (DO NOT USE THEM) said they didn’t do call outs so I was on the side of the road, stranded, with no idea how to change the spare tyre in the boot. Luckily, Manager Steve, from Blakey’s in Hastings, where I was, came out and helped me. I just want to use this opportunity to say, WHAT A GUY. Seriously. I tried to tip him for giving up half an hour and a whole lot of sweat to change the tyre, but he wouldn’t take it. Please, for me, if you do go on holiday to Barbados, go and have a drink or food there and tell him ‘the girl with the Moke’ sent you. It’s in a stunning location! Anyway, sorry, apart from that little escapade this was actually one of the best days in Barbados. As soon as I got the Moke I drove about 30 minutes up to Harrison’s Cave to do a tram tour. 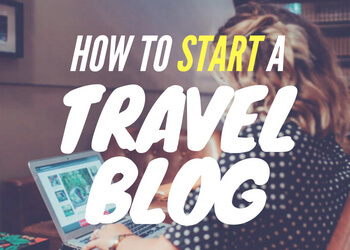 I was hesitant, but seriously, it was awesome and I’m not surprised it’s one of the top things to do in Barbados. 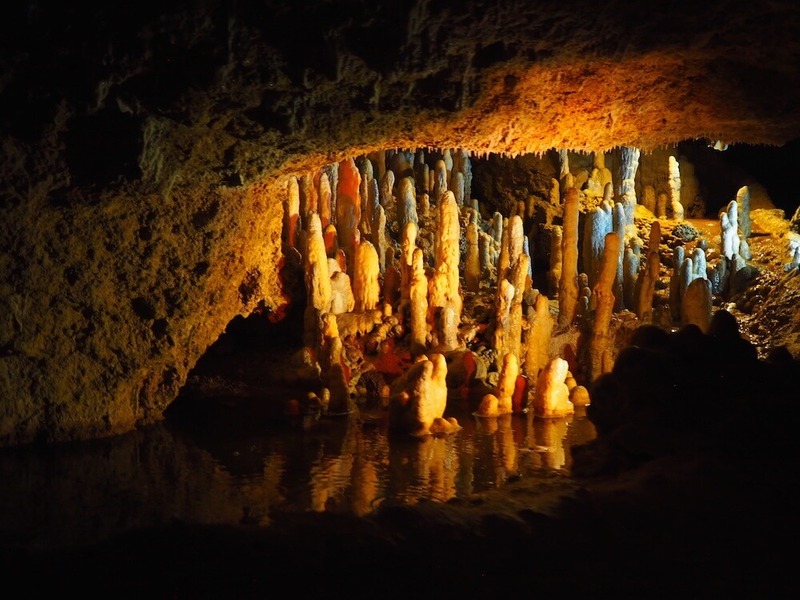 You get to go 165 feet underground and admire all the natural stalactites and stalagmites that have grown over thousands of years. After that I drove to check out the lesser-visited East Coast. 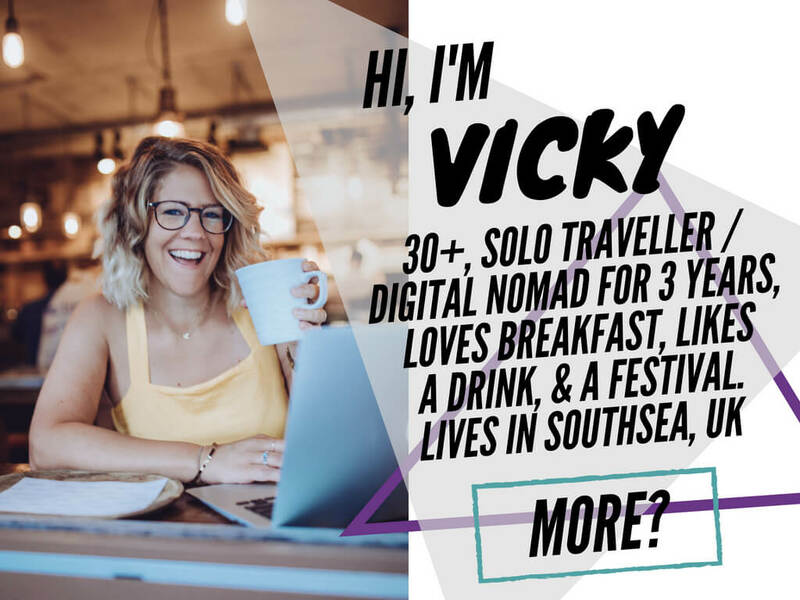 This is where the rugged beaches are, which for some reason on the Facebook Live I did for Skyscanner (below) I decided to describe as like an ‘English beach’. Well, they were a little fancier than that, but yes, the waves were high, there were cliffs and mountains and not a sun lounger to be seen. Not the beach for it. There was however an awesome beach road you could drive that went long the coast. From there I headed back to Speightstown but missed a turning somewhere and ended up at The Yacht Club (above). Now this is a nice place. I would’ve loved to spend longer but their Wi-Fi didn’t work. Yes, that is actually why I left. Shameful isn’t it? I was trying to do the video below though. When it was working I ordered an iced coffee and a seared tuna appetiser and both were yum. And then I went to Sandy Lane for Afternoon Tea. Sandy Lane is one of the fanciest places to stay in Barbados, it’s where the rich and famous like to book into for some R&R. 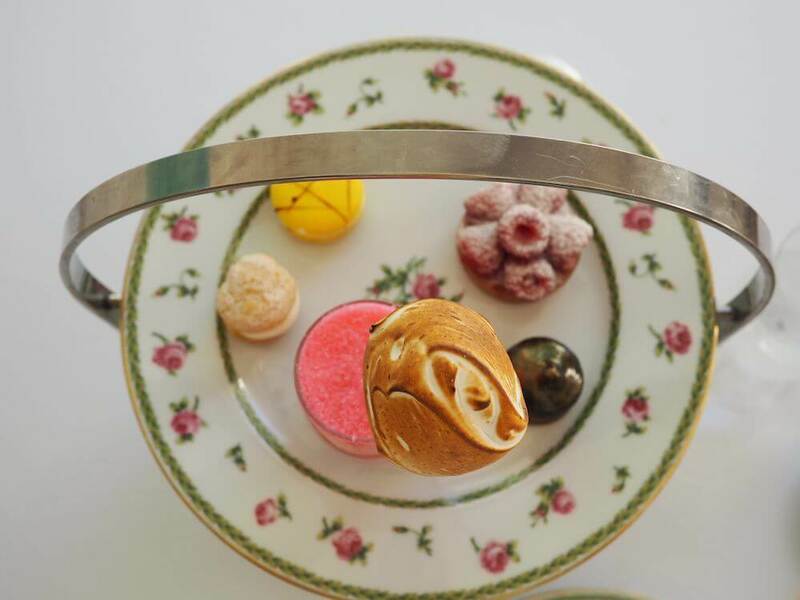 Going for Afternoon Tea is a great way to check out the hotel, without having to cough up too much. Although, the price of that Afternoon Tea would definitely cover a week or two’s supermarket shop for me. It was a quick drive back north to see the sun set over Mullins Beach, which I couldn’t find a parking space for, and so I went for second best at Folkestone Marine Park instead. A beautiful spot set up to preserve Barbados’ marine life with an artificial reef you can snorkel or scuba. Oh my god last day panic. Wanted to do everything. So much more still to see. 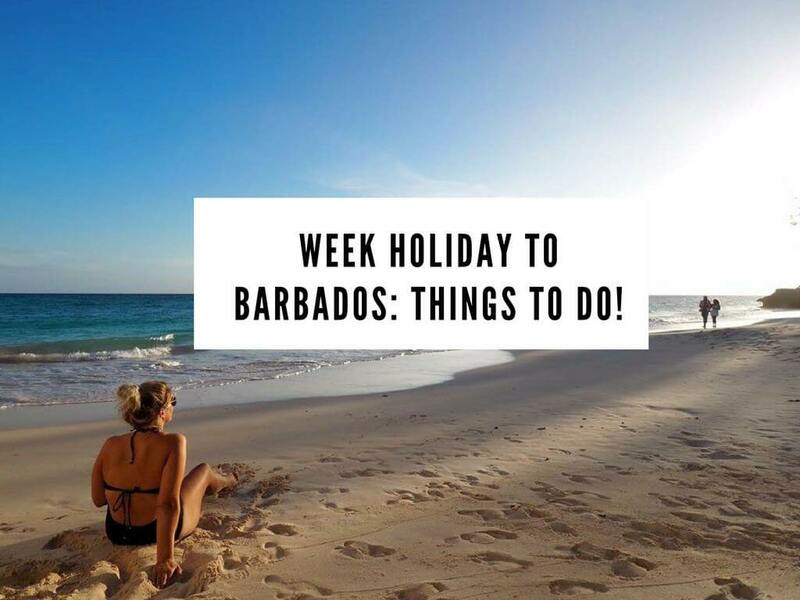 I decided instead to try and do what people come on a week holiday to Barbados for, to relax. I totally hadn’t yet made the most of my all-inclusive hotel so I had a huge breakfast, did a Facebook Live AMA for Skyscanner (above), walked from Maxwell Beach down to Sandals and back again and then had my all inclusive lunch sharing a table with a delightful couple who’d been coming to Barbados for 30 years. Then it was one more rum punch and a quick ride in the taxi to the airport. I managed to get a window seat this time and watched as the sun set over the island from way up there in the sky. I had an excellent week holiday in Barbados, that I’ll definitely do again some time in the future. 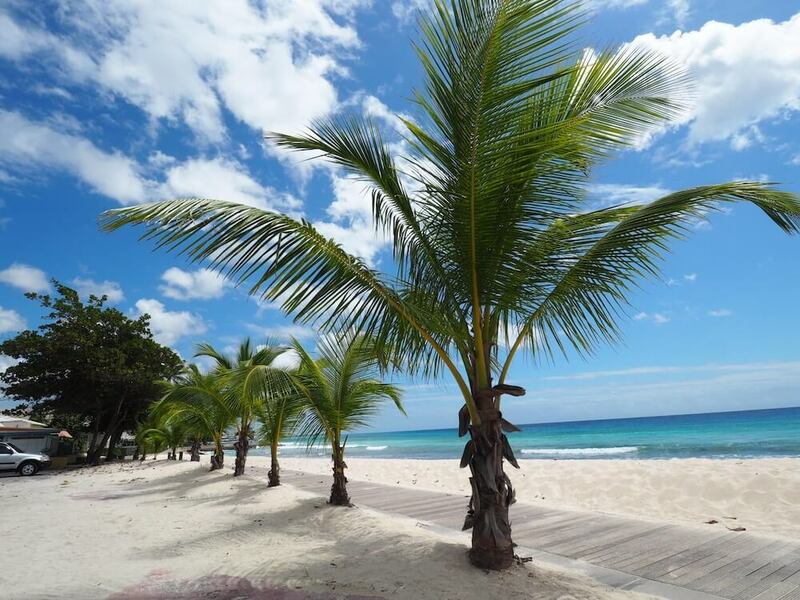 SEARCH FLIGHTS TO BARBADOS NOW – go on, just a little look? Wildlife Reserve – it has Flamingos! Mount Gay Distillery Tour – can’t believe I didn’t do this! Any questions about Barbados? Anything you think I need to add? Aaaaaah I stayed at Port St Charles when I was there! In fact, I can see the apartment from your pink flower photo. For me the people made it, had the most amazing 3 weeks there!!! Your review of the island is wonderful!! Ooo Port St Charles was so nice! I only found it by accident on a hunt for Wi-Fi. The Yacht Club was great. I could happily spend all day there next time I go. Ah thank you – I really enjoyed my week there but next time I go I plan to relax :). Ha, sorry to disapoint Steve. I'll let you know if I find a competition for you :).